To simulate the rain accumulation in crack and gap we could use an information already available for other effects : A heightmap. It is common for ground in game to have some sort of parallax mapping more or less complex (simple parallax mapping, parallax occlusion mapping, relief mapping…) requiring an heightmap. We just need to define some convention for the heightmap when dealing with it. We could use the heightmap exactly as for vertex color and puddle: black mean hole where water can accumulate and white mean no water. 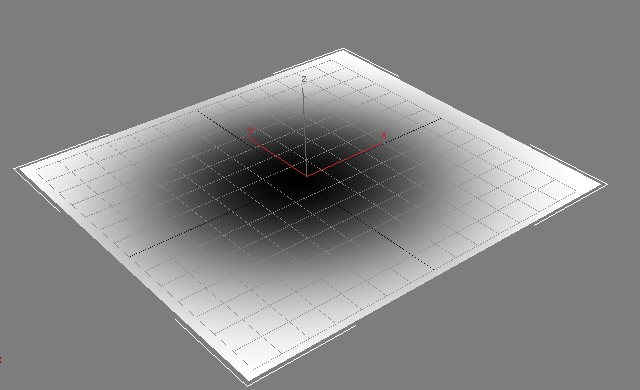 Then lerp BRDF parameters as before. The code requires some explanation. To accumulate water correctly we require knowing the volume of the free region around the pixel, the local minima, the slope etc… Of course we don’t want to provide all these information (and the extra instructions required to treat them) and instead chose a simple approximation. We then take the maximum of the two values describe for puddles or heightmap to allow to mix them. // if there is accumulated water. Having two depth editing paths with two flood levels allow to let the accumulated water of puddles stay longer than water in small gap/cracks/gap. These flood levels are control on the CPU by the amount of rain precipitation. The rain precipitation is growing base on the time spend and intensity of the rain (Rain intensity). A light rain will take more time to increase the flooding levels than a heavy rain. The flooding levels do not decrease when the rain stop. They decrease with time. You could base the speed of decrement on the hot temperature but we don’t need this level of detail, player will not notice it. As puddles disappear more slowly, their flood level (the one use for vertex color) will decrease more slowly than the flood level of hole/cracks/gap (the one use for heightmap). Here is a diagram showing the relationship between all the describe variable based on the time. At an arbitrary moment, it starts to moderately rain (Black line (i.e. Rain intensity) increasing to 0.5). Surface is rapidly wet (Wet level in blue increase to 1). After a certain time raining, the flood levels have increase sufficiently to flood all surface and puddle (Flood levels in green and orange at 1). When it stops to rain it require some time to dry the surface (wet level decrease to 0). It requires more time for the water in hole to evaporate (Flood level Heightmap decrease to 0) and even more time for puddle to disappear (Flood level vertex color). With such control, if you want to simulate a drizzle rain where nothing should flood, you just have to put a speed increase of flood levels 0. I have made a RenderMonkey project (see at the end of the post) with all the code presented here. I do a video capture from this application to show the flooding of both the puddle (vertex color) and the heightmap in action with a timeline animating variables similar to what we just describe, the video also show ripples of the next section: puddles, heightmap and ripples youtube video (For the ripples, better to see the HD version). An interesting benefit of puddles is that’s they are like decals and allow to break repeating pattern use on ground. This is good for modularity. Even if dynamic accumulation is a cool feature most of the time you don’t need it. First you must have the need of a dynamic rain. Then the player should be able to go to the same place at different time. In a linear game where you always go forward the player will never notice the accumulation. In an open world game you have much chance that the player run around the same place and notice a difference. In our game we don’t use a dynamic water accumulation system but it still useful for previewing what an area could be when wet, good when design decision change often. There is few optimizations to do when you already know the weather of a particular area. All dynamic stuffs in this case are useless. You can prebake all your textures with the wet level influence of the area by using the previous wet code, or better have artists creating the wet textures directly. Also interesting to know even if this not always an optimization, for holes/puddles you could use a standard blend material. One layer is setup as the dry surface, the other layer is set as water properties mixed with the wet surfaces. Another thing when talking about wet and dry surface is that only exposed surface to the rain is wet. Dry surface are not only the one protected from rain, other surface like wall which are perpendicular to the rain direction are mostly dry. A depth map generated from the rain direction, like the one use for the rain splashes, is a good candidate for this problem. Stalker – Clear sky use this kind of approach . Using the depth map like a shadow map, the visible pixels through the depth map will be wet. And this will automatically discard surface not facing the rain direction (think about an orthogonal top view of a wall). To avoid having too hard transition between wet and dry surface, some jittering and filtering technique can be use. Also this doesn’t handle complex case of wet propagation like on a tree. The main problem of the shadow map is the limited distance/resolution it covers. Of course, instead of painting all wall in blue we chose to only allow wet effects on ground parallel surfaces. Ground surfaces have their own dedicated shaders. Dynamic object could be handled with the CPU by reusing the depth map of rain splashes (or by doing line check with the world in the opposite direction of the rain but this can be costly). The current position of the dynamic object is tested against the shadow map on the CPU. We can track the time since the dynamic object is under cover to simulate a drying process. In this case, each dynamic object has its own wet level value which increment when under water and decrement when under cover. To conclude with puddles, it should have impact on sounds and footstep. When the player walks in a puddle, it expects some splash effect with its associated sound. Using vertex color to paint puddle fit actually well for this kind of effect. On our mesh we have physical materials allowing defining the kind of material we are actually walking on. When walking on the mesh, we retrieve the contact vertex color (instead of looking up in a texture like Unreal Engine does). If the vertex color is black, we return the water material. We also perform a splash effect when there is enough water to allow it based on the Flood level values. The splash effect is not perform in dry area detected by throwing a ray in opposite rain direction and testing collision with the world or by reusing the depth map of the rain splashes. At the end of the rain splashes youtube video you can see some foot splashes. To go further, puddles are not always clear and  describe how to take into account muddy puddles with a specific phase function in a scattering model. As a last note, many games tend to have water stream on walls or vertical part of objects. This is not something expected in real world as see in the observation post. There is circumstance where this happen but this is the exception not the standard. Ripples are a consequence of the impact between a raindrops and a layer of water on top of the world geometry. The impact generates a circle wave propagating in the water media as can be seen in the observation post. If there is not enough water there is no ripples, this is an important point. As for rain splashes there is no need to sync the raindrops effect to the ripple effect, the eye can’t see the difference as you may see in the video in the observation section. Most games use a dynamic ripple normal map to perform this effect. Modifying vertex geometry is a too heavy process for a game and requires detailed meshes. At each frame a new ripple normal map is generated. A single ripple normal map is use for the entire world for performance reasons. The texture will be sample with xy world coordinate of the object (with z up) meaning that’s the ripple normal map must tile. The ripple normal and the normal of the water are then combined. As water normal are always Z up the combination consist to take only the ripple normal map into account. A physical way to generate the ripple normal maps is to perform a true simulation of ripple like in the Toy shop demo  either on the GPU or the CPU. Raindrops are use as seed in a water simulation texture. Each raindrop generating a dampened sine wave. Each ripple interacts with others. The result of the simulation is a heightmap which will be converting to a ripple normal map. The simpler way is to use an animated texture, like the tile volume texture use in Stalker – Clear sky . The main weakness of this method is the obvious pattern in ripple. We chose a procedural way as a solution between the two above. Good to avoid repetition and more stable than a simulation at a lower cost. As the number of ripple should increase with the rain intensity it is better if the method chose allow generating more ripple. 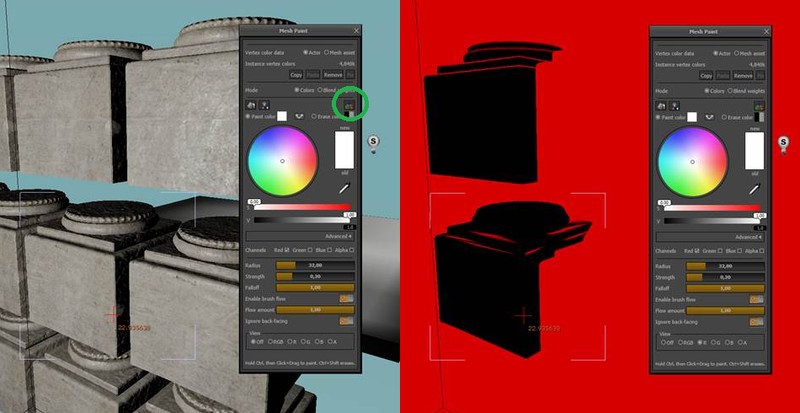 The procedural way we chose consists of creating animated circle of different size from a texture. This texture has been generated procedurally. This work have been done by Antoine Zanuttini. An algorithm spawn circles with different sizes and no overlapping then for the red channel: calculate the distance inversed and normalized from the circle center, for the green/blue channel: store the direction from the circle center, for the alpha: take random grey value constant for the circle. Picture below show in order: RGB texture, red channel, green/blue channel, alpha channel. For performance and quality we try to generate mipmap for the ripple texture. 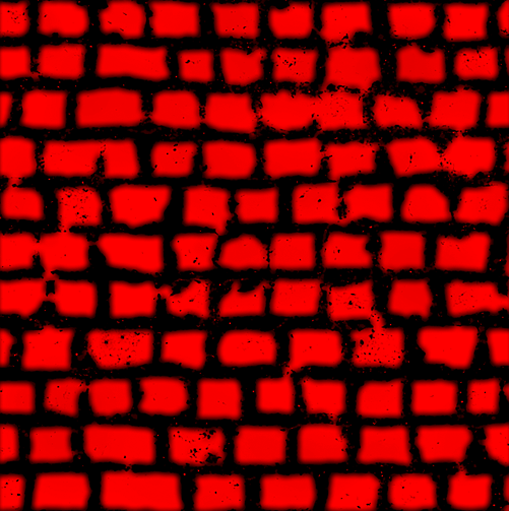 Either by regenerating the texture procedurally or by filtering the base level. In both case we get improved performance but we are not totally satisfying with the visual result. With the procedural way the low resolution don’t give good rasterize result and with the mipmap the ripple just disappear. This could be a new area of research link to the hot topic of filtering normal map. The RainIntensityOn is 1 when its raining and 0 otherwise. The smooth graduation in the ripple (number, frequency) is control at the ripple normal map generation time. The ripple normal map can even be flat normal. The code above allow to make ripple appear only where there is enough accumulated water. A video show ripples in action: puddles, heightmap and ripples youtube video. 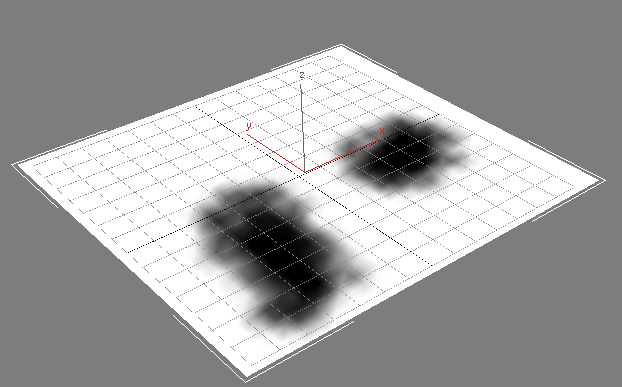 Note that’s with a thin layer of water (which can be control by settings the maximum value of a heightmap to 0.8), you can still have some light ripple effect. In real world, ripples are often only visible when there is enough lighting. Here we get the same effect, we need to have a bright light (either direct or from an environment map) to be able to see ripples. To avoid to get ripple on undesirable surface, typically vertical surface attach to ground (like sidewalk) which are difficult for artists to separate, we can test the world normal orientation of the surface and attenuate the ripple. As this has shader’s instructions cost, we prefer to paint a weight to attenuate the ripple in a vertex color’s red channel: 0 no ripple allowed, 1 : ripple allowed. If you use the blend material way to create puddles/hole by binding the blend weights on the color channel use for puddles weight you can get the ripples effects on the water surface. It could be possible to add even more interaction in ripple simulation like taking into account object falling in puddle or footstep. But in this case we can’t use the generated ripple normal map everywhere on the world. The simulation should be performing for a small area around the player like a small grid and require extra instruction to handle it. Two textures will be requiring in this case. Bioshock  uses a screen space buffer to perform ripple simulation and water interaction similar to a deferred renderer. Our “rain fog” color is based on localization not the kind of rain, and it is controlled by artists. Moreover, the heavier the rain is the denser is the fog (fog amount). This is because raindrops reduce the visibility for far away objects producing a haze-like effect. Water particles in the atmosphere during the rain increase the amount of light scattering around objects. Multiple scattering effects are responsible for the appearance of glow around light sources in stormy weather. The toyshop demo use the current luminance of the pixel to tweak the fog factor (no fog on bright pixel) and add it to the glow amount simulating a larger halo. – Cloud in the sky: Cloud are participating media where light suffers a high degree of scattering and absorption. The density of droplets suspended in the cloud determines the way light is distorted, and variations of this density may produce lighting conditions with a wide difference in coloring and attenuation. – Rainbow: When rain is mild or has just finished, small droplets suspended in the air produce rainbows by refracting the sunlight. – Lightning: A lightning is an atmospheric discharge of electricity, typically originating in a cloud and hitting the ground (…) Simulation of this phenomenon must produce pseudo-random paths and change the illumination of the whole scene to respond to its varying-intensity flashes. – Dripping water: When raindrops fall on non horizontal surfaces they do not accumulate on it but trickle down following the forces they receive, mainly gravity and wind. Physically based rainbow is describe in depth in a recent paper by Disney research . Several other effects like misty rain halo, water stream, swirling water, windshield with dynamically cleaned raindrops are also describe in the toy shop demo paper . The list is endless. We call them core rain effects because this is the effects you generally have enabled when rain is on. Remark: Given the rain budget it is rather difficult to take into account the lighting in the core effects like in the Toy Shop demo , that’s why we have not handle it . Other misc FX artists’ effects add to this, some like foot splashes are almost free. The ripples themselves with the dynamic rain material increase the cost of objects rendering (in forward renderer). These enhance features are always active in the shader to be able to support dynamic rain at all time, so this cost (not negligible) is included in the 30ms frametime limit that’s artists must respect when dealing with dry objects. So all cost summed we effectively go above the 3ms rain budget, dynamic rain is a costly features! In our game we don’t include every features presented in this post. Performance, design decision change, artists/level designers training, lack of documentation are some factors at the origin of this. To conclude, rain is a very complex phenomena and rainy world is really difficult to get right. The result we get still far from reality. This post present some common rain effects found in game and we hope you enjoy reading us. Other rain effects like misty objects or droplets glissing on glass can be found in the conference on the Toy shop demo  that I really recommend. But there still even more complex effects like those imply by wind (wave on puddle), or even caustic on wall due to puddle perturbation by rain. Whatever you chose to implement for increasing the rainy mood of your game try to link it with the gameplay. It is a better return on investment for such costly features :). As an example, in Far Cry 2/3 when the jungle is wet, it is more difficult to burn it . I made a zip file containing the RM project, the textures and the ground mesh. As WordPress don’t support zip file, I rename the zip in pdf. So to download the application right click on the following link : RenderMonkey-RainEffects, save target as… and then change the extension to “.zip”. Very nice ideas about the ripple maps! I’ve had some pretty decent results overlaying the perfect circle alphas with a render cloud (or just running a difference cloud over it). Doesn’t do much other than ensure you don’t have perfectly-circular ripples, but that alone adds a little bit of visual interest/chaos to the effect, if that floats your boat. Interesting remark, we already debated here about the perfect circle case. We also have some circle distortion in our original code but this was not totally satisfying me. For this post, I chose to let the perfect circles. Your way to add chaos is a good idea, I will try it, thank you! v1.1: Add “Other important rain effects not covered” section with a link to the nice Master thesis “Real-time Realistic Rain Rendering” of Carles Creus López http://upcommons.upc.edu/pfc/bitstream/2099.1/11303/1/Carles%20Creus%20Lopez.pdf. + Refactor fog and misty glow section and add toyshop misty glow code. You could also use flow map to add more variation to the rain on horyzontal surface : http://www.youtube.com/watch?v=80Ce1i0ODGU. Very nice article and very inspiring ! This is a nice idea! However I will use it based on slope of the ground as flat ground should not have any water flow (unlike in the video). There is also an extra cost to use such a feature that need to be measure.